Its always a curious event when an underground electronic artist announces an LP. In a recent article we posted ‘Format Wars‘ we touched upon the subject of the LP and whether it’s legacy is enduring or beginning to wax in a digital age. Since the MP3, iTunes and the iPod gate crashed our music buying habits we no longer just buy an LP on the merits of the artist or a recent review we read, rather we hop, skip and jump through the various tracks and invariably settle on a select few that grab our attention. This type of behaviour is even more prevalent when you step outside the confines of the main stream universe and delve into the smaller worlds of underground dance music, a world Kowton currently resides. Despite this the LP’s candescent history is so irresistibly intoxicating that it draws all artists toward it like Brit to a sunny day, but if like a Brit the artist isn’t quite ready they can quite easily get burnt. 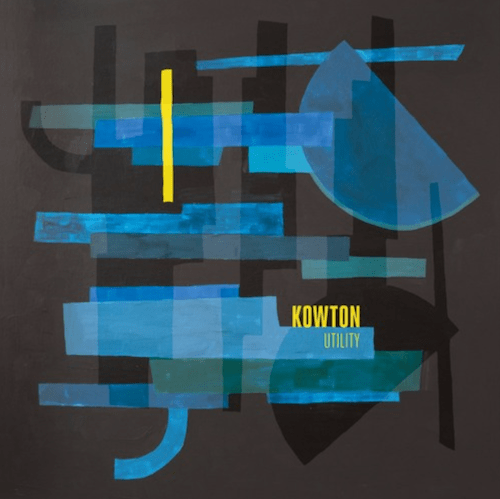 So is Kowton ready to release an LP or will he be slapping aftersun all over his milky British body? The only way to answer this question is to delve into his back catalogue, and when you consider such moments as ‘Raw Code‘, ‘End Point‘, ‘Glock & Roll’ & ‘On Repeat’, to name a few of his records, you realise that as an artist he has the requisite dexterity and versatility to compose a coherent and satisfying LP. Album teaser ‘Shots Fired’ is our first glimpse of what to expect from ‘Utility’ and whilst it doesn’t throw any unexpected curve balls in its stripped back sound, it does give enough hints that the blueprints underpinning the imperious Raw Code and End Point are still firmly in place, suggesting this album has the potential to be more than just satisfying, maybe even great?